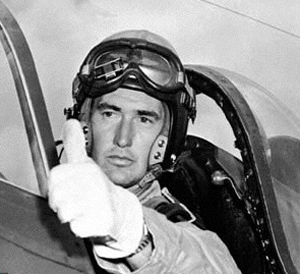 Despite having been classified 3-A due to the fact that his mother was totally dependent on him, Ted Williams appealed to his draft board and had his classification changed to 1-A following the U.S. entry into World War II. He enlisted in the Navy on May 22, 1942 and joined the V-5 program and set his sights on being a Naval Aviator. 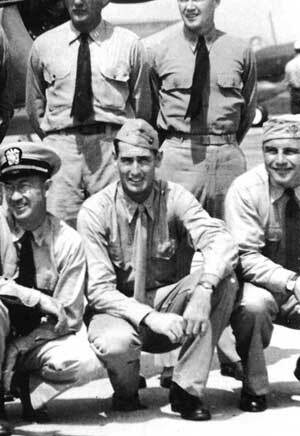 He was in Hawaii awaiting orders as a replacement pilot when the war ended. Williams returned to the States in December and was discharged from the Navy on January 28, 1946. Williams returned to the Red Sox in 1946 and took up where he had left off, leading the team to the World Series, and winning the MVP crown. In 1947 and 1948, he won the American League batting championship and was the MVP again in 1949. 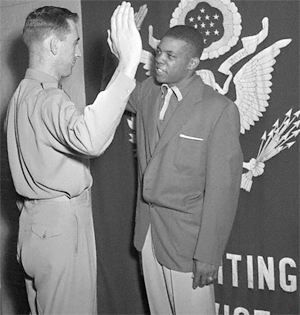 On May 2, 1952, Williams was recalled to active duty due to the Korean War. 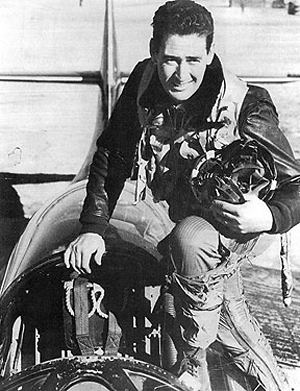 After completing jet refresher training in the F9F at Cherry Point, NC, Williams joined VMF-311 in Korea. He flew 37 combat missions and had a narrow escape when he crash-landed a flak damaged aircraft. Several missions were flown with John Glenn. Among the decorations he received was the Air Medal with two Gold Stars for meritorious achievement. Ted was relieved from active duty on July 28, 1953 and returned to the Red Sox for the remainder of the season, batting .407 with 13 homeruns. 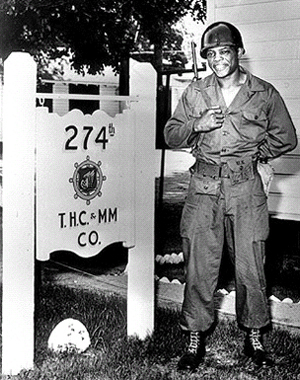 After basic training, Mays was assigned to the instructional division of the physical training department at Camp (Ft.) Eustis, Virginia. 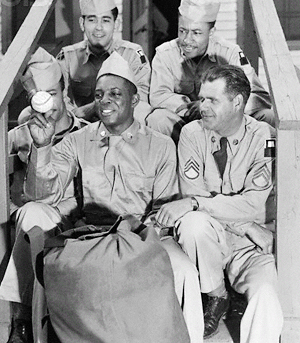 But his major task in the Army was exactly as it had been in civilian life…he was there to play baseball. His base commander enjoyed the bragging rights that his Mays-lead team earned for the base. And “The Say Hey Kid” did not disappoint, hitting .420 and .398 in his two 90-game “army-league” seasons. Mays returned to the Giants in 1954, hitting for a league-leading .345 batting average and also slugging 41 home runs. Mays won the National League Most Valuable Player Award. In addition, the Giants won the National League pennant and the 1954 World Series, sweeping the Cleveland Indians in four games. The 1954 series is perhaps best remembered for "The Catch," an over-the-shoulder running grab by Mays in deep center field of the Polo Grounds of a long drive off the bat of Vic Wertz during the eighth inning of Game.